Practically two months away from launch and anticipation grows exponentially in the hearts of many Red Faction fans. That said, amongst all the fans there are always those who want that little something extra -- as a badge of honor if you will. And as always the major retailers serve as your source for extra incentives upon pre-order. We have the full list of Red Faction: Armageddon pre-order incentives along with the corresponding retailers thanks to THQ. Red Faction: Armageddon launches on May 31st and will be available for Xbox 360, Playstation 3, and PC platforms. 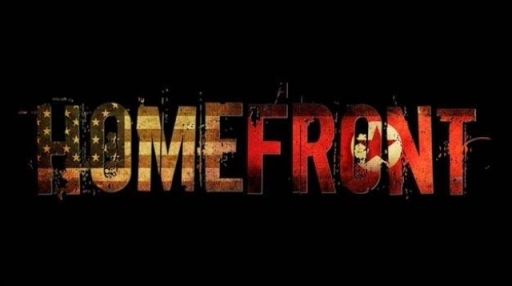 Homefront brings us a controversially close to home story. 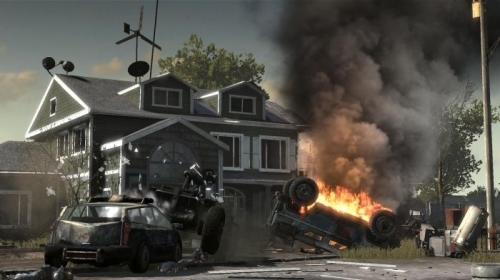 Homefront is an atmospheric shooter that immerses players into their world. The setting is the most powerful part of the game. Any US patriot will cringe when they see the horrific images of Korea occupying The United States and killing innocent civilians. The game opens with a very thematic intro detailing the events leading up to the war and eventual Korean occupation, which includes a violent EMP blast that takes out most of the country. The visuals are, for the most part, stellar. Skin, clothing, and weapons have great texture. That said, Kaos Studios skimped on a few items in game. In the refugee camp after the first mission there is a stack of firewood. The texture on the bark has detailed texture, but there is no space in between the individual logs. The whole set piece felt out of place. For the most part everything looks breathtaking. When enemies take headshots blood spurts out and it's pretty rewarding. This effect works well from a distance, but up close it looks more like dark red Jello coming out of people. Despite the fact that the 3DS has only been on sale in Japan for two weeks, it has already been flooded with hacks. Such hacks allow a person to use a R4 cartridge to play so called "backups" of certain DS and gameboy games. These cartridges do not allow you to copy 3DS games. Nintendo is responding to this potentially serious issue, and warns that it maintains a log of all hacked 3DS's. Although it is only a speculation at this point, it stands to reason that any and all hacked 3DS handhelds will be bricked in a future update. According to Ian Curran, Vice President of THQ, the 3DS will do a good job of keeping pirates at bay, although he did not speak as to what specific anti-piracy measures will be put in place. What are your thoughts on R4 cartridges and software piracy? Sound off in the comments!